New Zealand Heirloom Red is an heirloom variety from New Zealand, as you may have deduced. It probably has another name, but that has been lost. This variety is also commonly sold under the names ‘OAEC Pink’ and ‘Rosy Gems’. 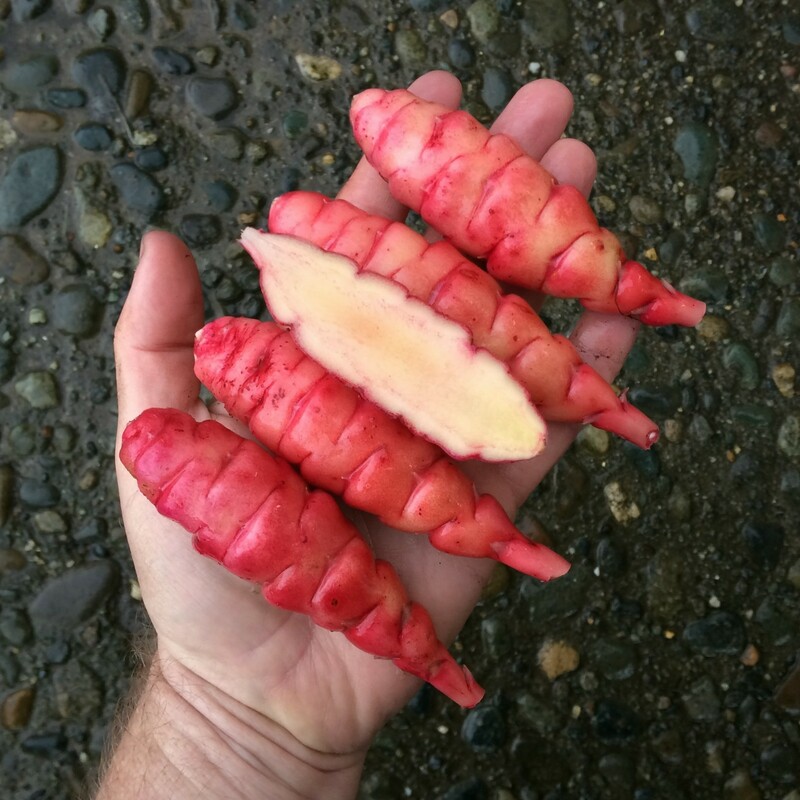 New Zealand Heirloom Red is non-sweet and slightly tart. The flesh is dry and very reminiscent of potato. It retains some of its pink color through cooking. New Zealand Heirloom Red plants are relatively compact, with a large number of stems. They typically sprawl less than other varieties. Tubers are produced on stolons of intermediate length and are typically uniform. Tuberization photoperiod is about 12 hours, the same as most heirloom varieties. Average yield is 1.5 pounds. 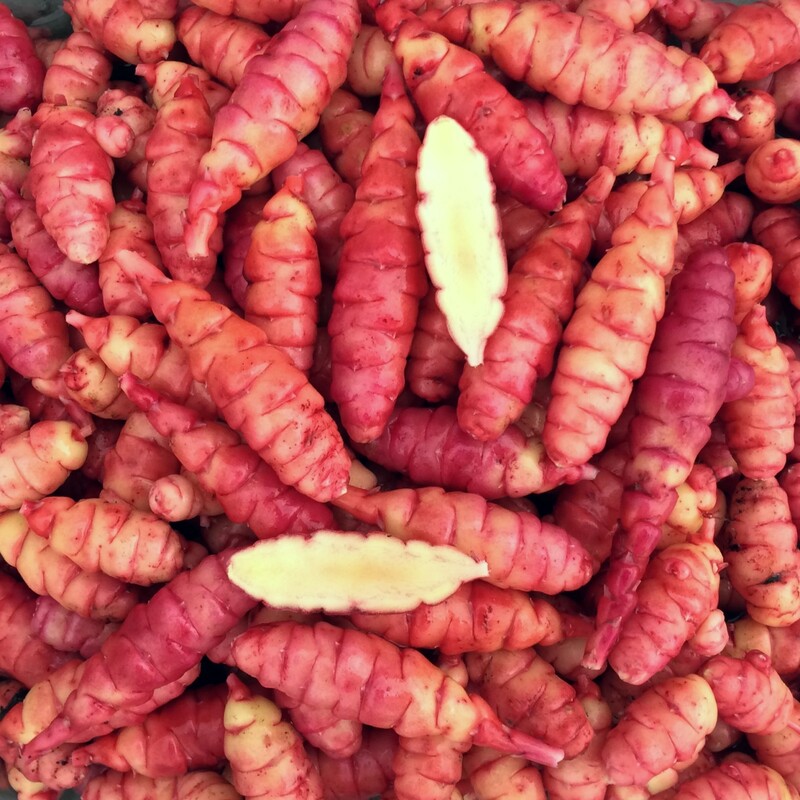 Maximum tuber size is 5.3 inches and average tuber size is 1.6 inches. Average tuber count is 19. 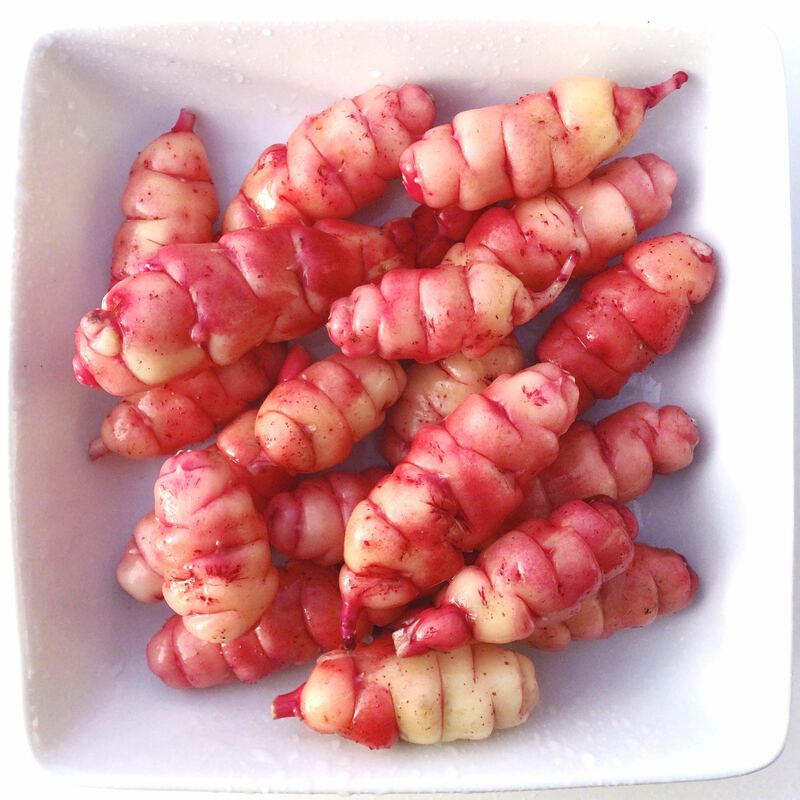 There are about twice as many small tubers as large with this variety. New Zealand Heirloom Red is a poor flowerer with a mid-styled flower, flowering here from late May through July.